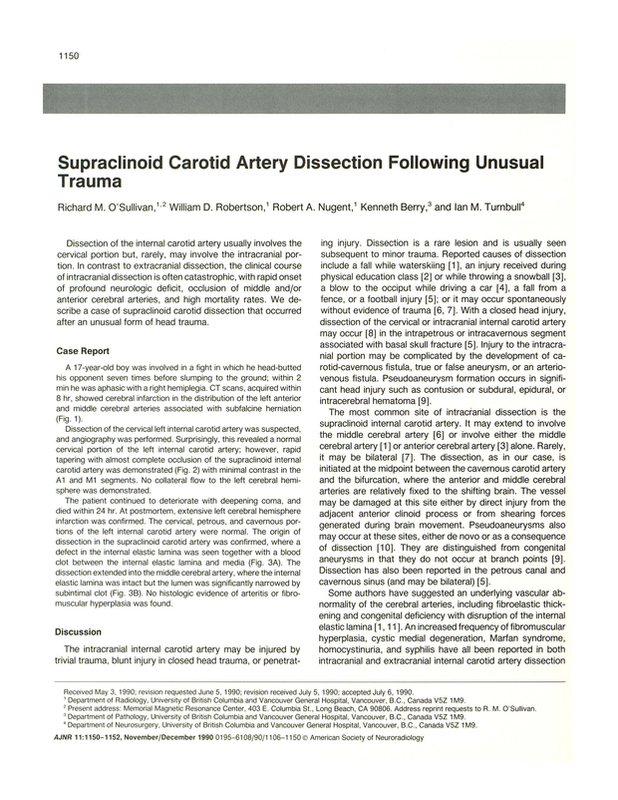 Supraclinoid carotid artery dissection following unusual trauma. Department of Radiology, University of British Columbia, Vancouver, Canada. You are going to email the following Supraclinoid carotid artery dissection following unusual trauma.